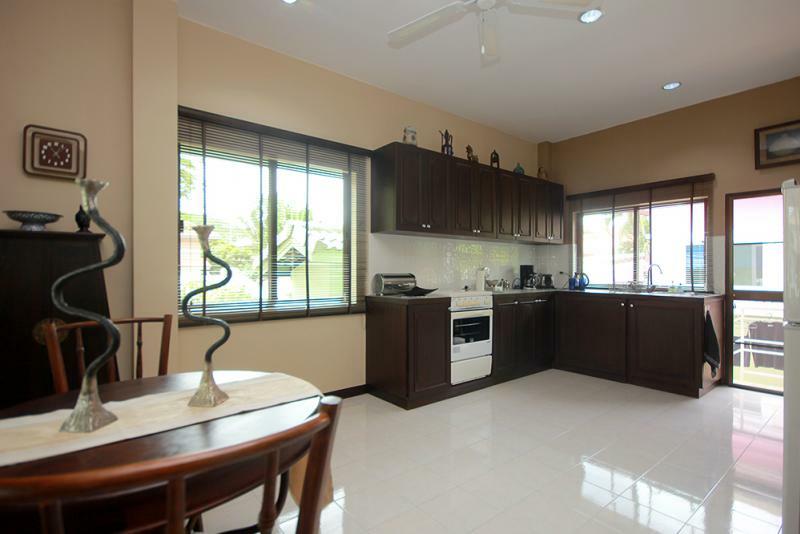 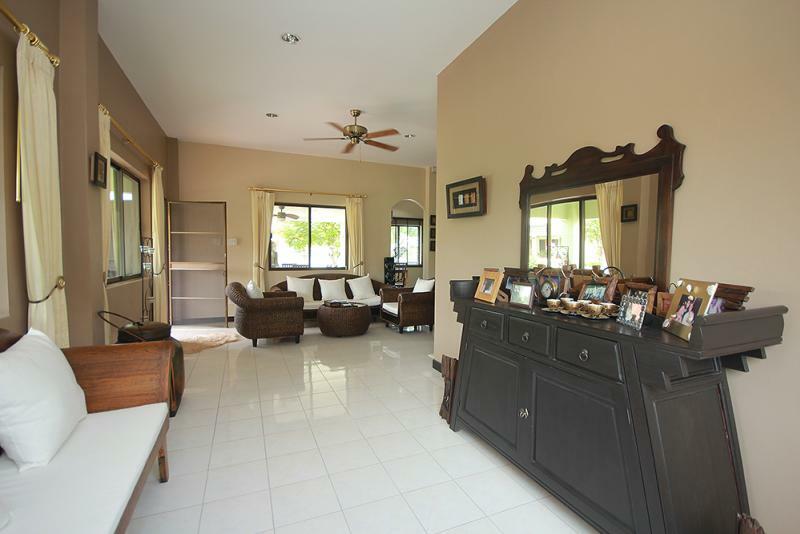 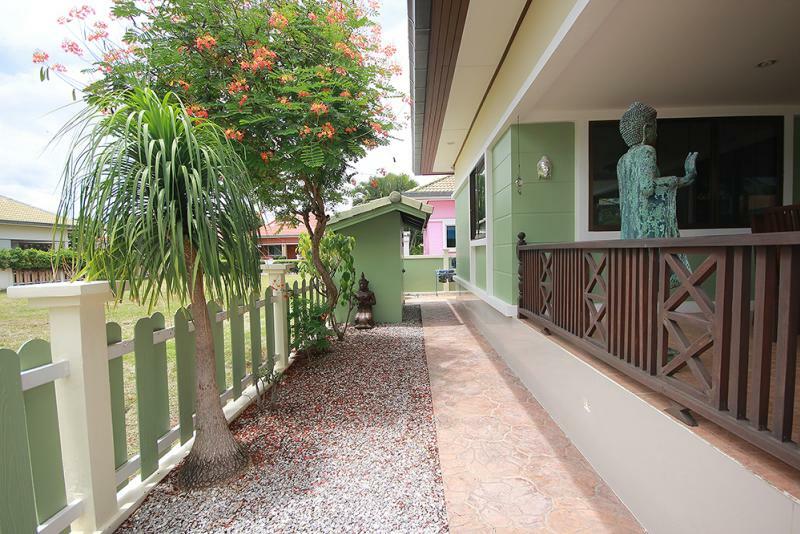 Beautiful built bungalow on a secure and walled environment. 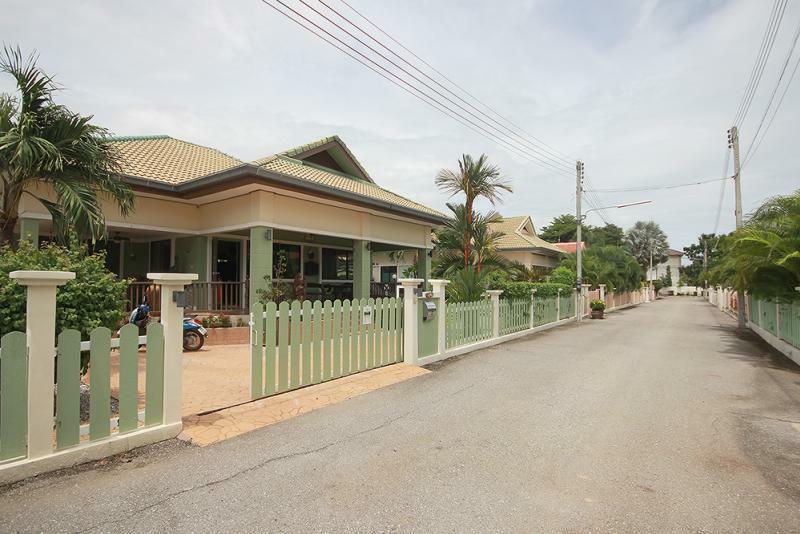 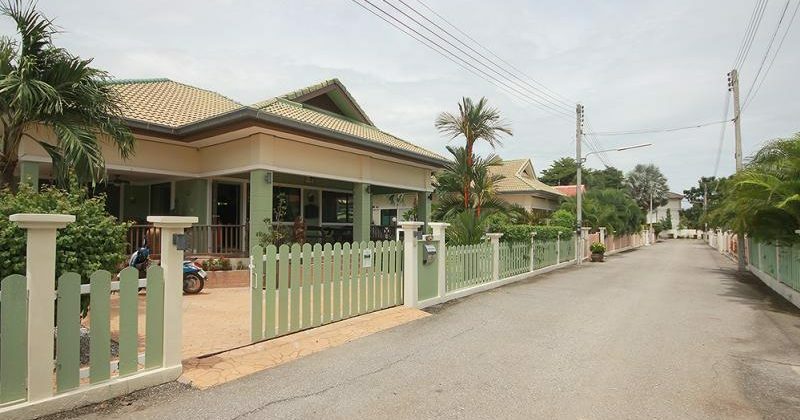 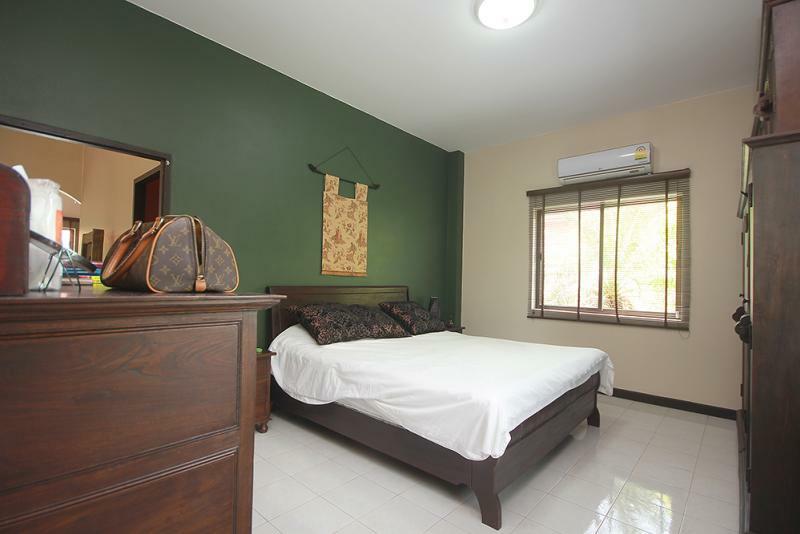 Two bedrooms, two bathrooms (one en suite) detached bungalow for sale on the desirable Baan Thai village development in Khao Tao, Hua Hin Soi 126. 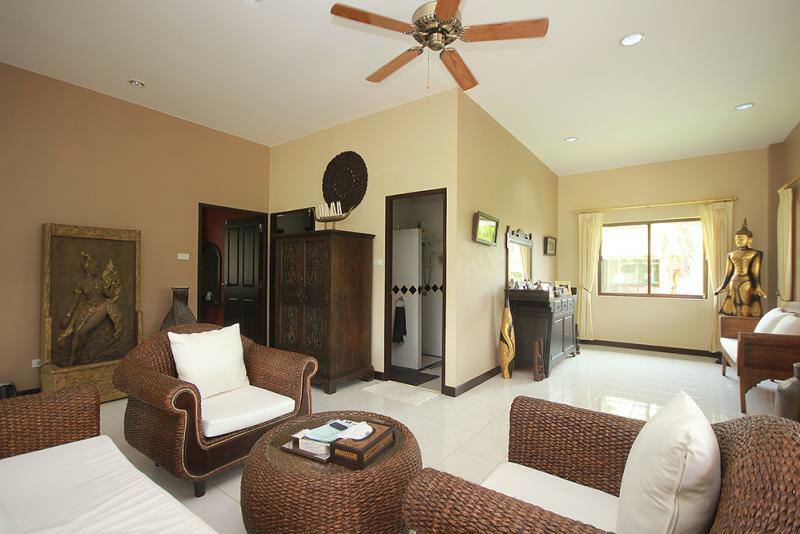 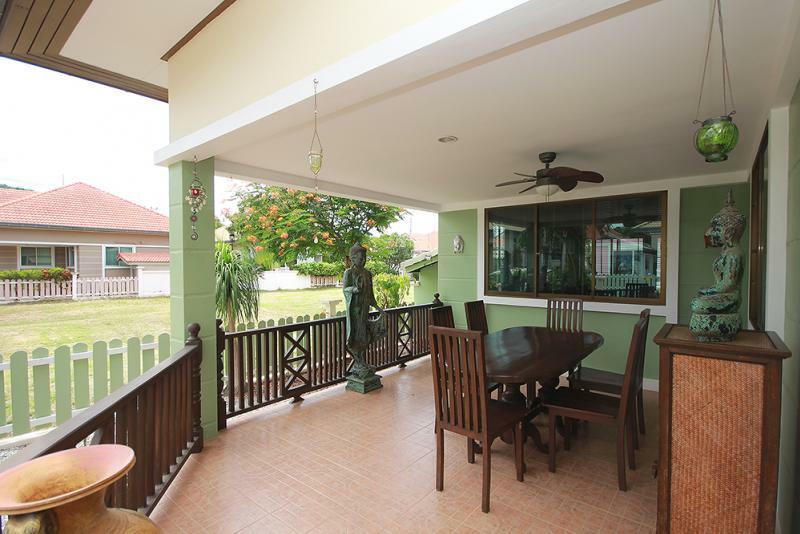 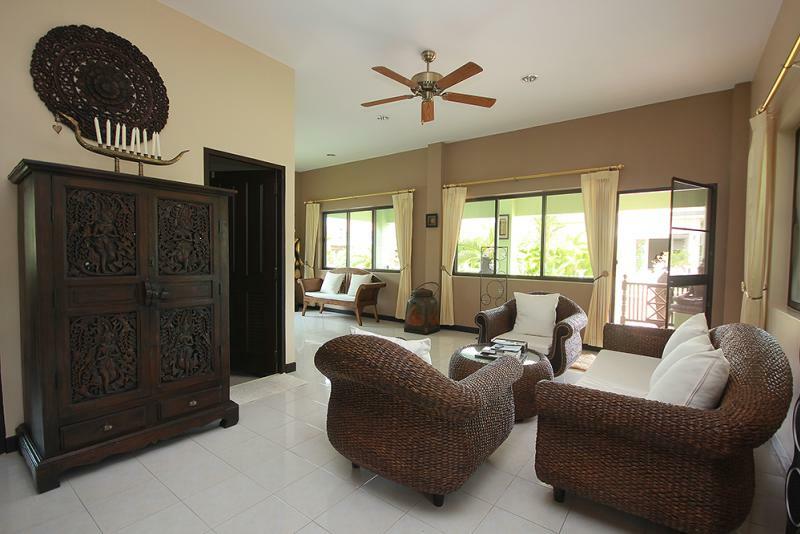 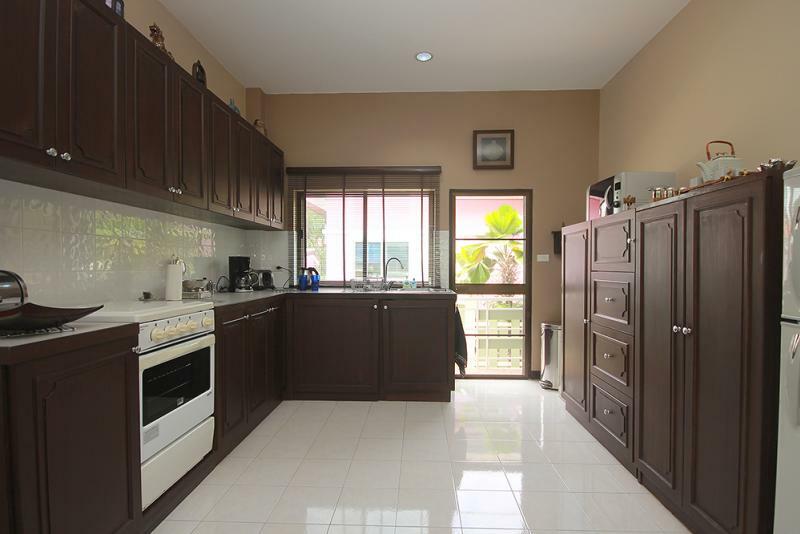 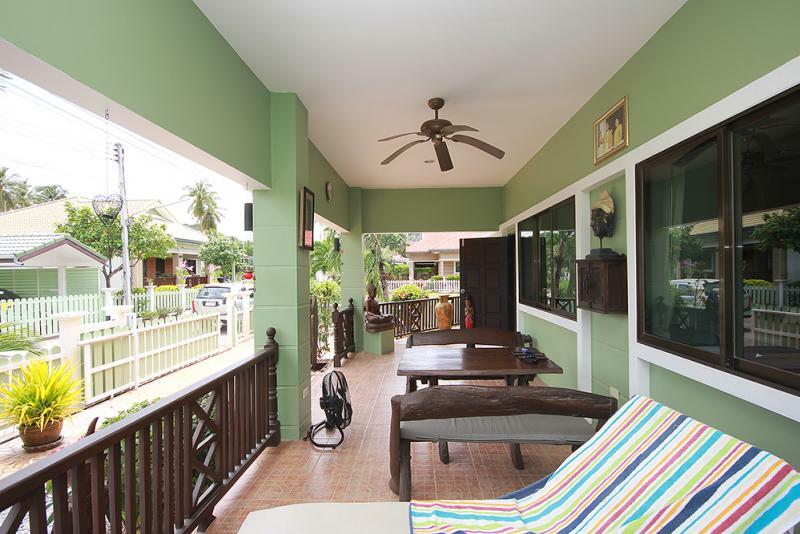 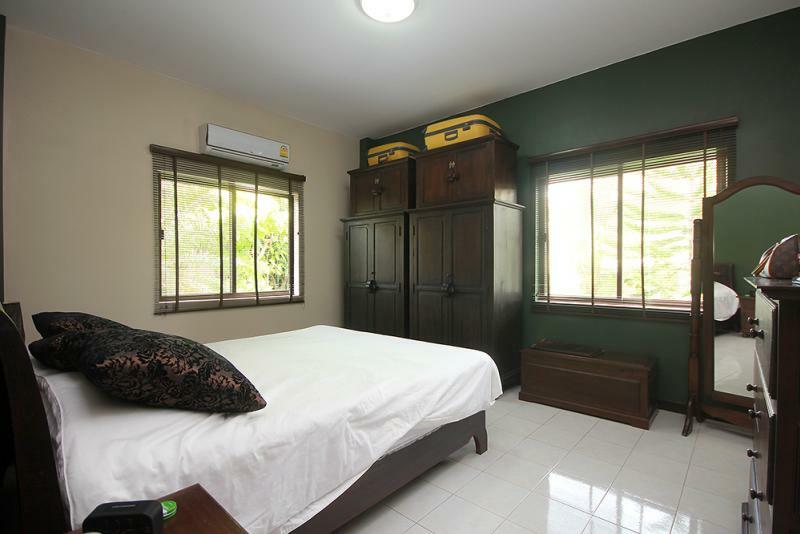 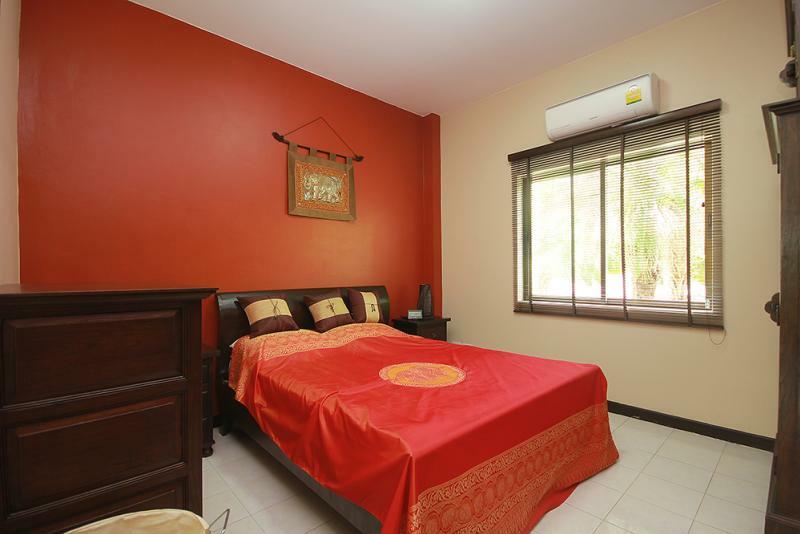 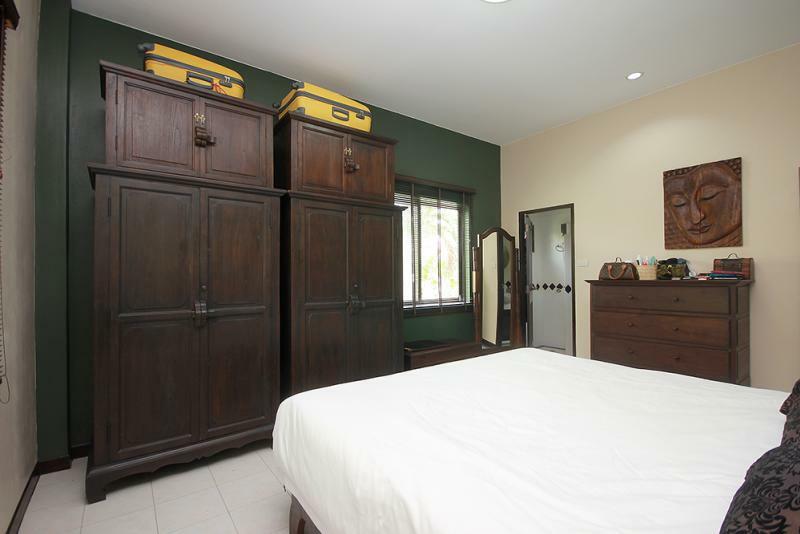 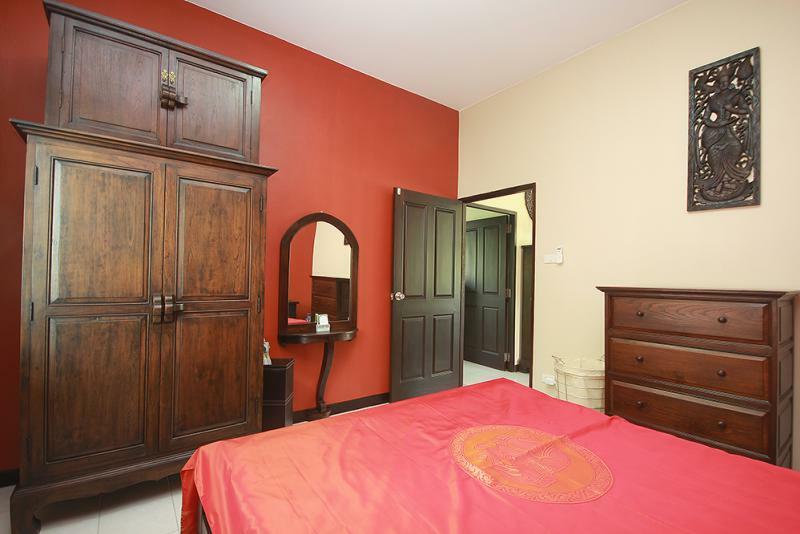 The house is being sold tastefully fully furnished in Thai style (teak furniture) and has an open plan kitchen /dining room. 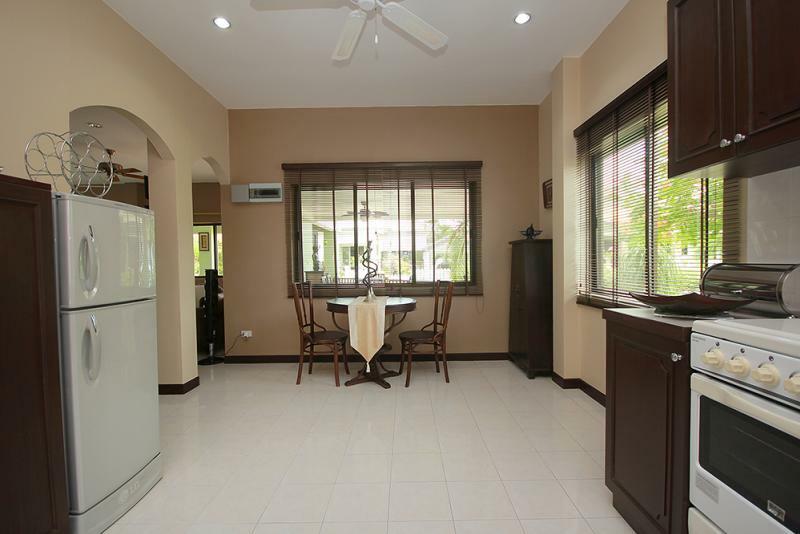 The house has recently been completely redecorated and is in pristine condition throughout.